Full disclosure: I was asked to write some additional readers for this series last year, and they just came out. I’ll try not to be too gushy in this review. The Building Blocks Library, published by Matsuka Phonics Institute, is a ten level series with 82 titles. 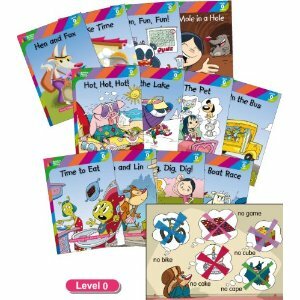 The first four levels are written as phonics readers to help students start reading, the ones after that are leveled readers for extensive reading. This is a very nicely produced series that appeals to students and is economical and easy to integrate for schools. The main drawback is that there are not enough books at each level to allow students to move up the levels smoothly -ideally students would be doing much more reading at each level before moving up so teachers will have to supplement this with other materials.